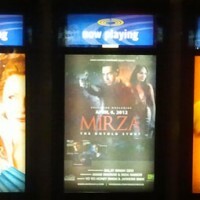 Behold some of our finest work on a skeleton crew — Mirza 2012: The Untold Story. 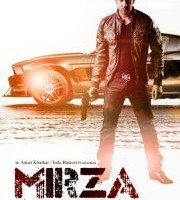 The film which was sold out opening weekend in Canada and caused a huge stir in India. [cvg-video videoId=’76’ width=’640′ height=’420′ /] It stirred us up in Vancouver as well because of the magnitude of the lighting setups we were able to achieve with a streamlined crew of swing grip/lx technicians. A true testimony to a cohesive team and our close camaraderie with our good friend and Vancouver’s best kept cinematographer secret: TOBY GORMAN. The trailer is proof that a new era of image-making is upon us. Sensitive digital cameras — tightly knit crew of skilled independent filmmakers — making the most of limited tools — we can create huge budget-like features. We worked tightly together to create an action-packed big-budget movie look with a skeleton crew of only 4 guys (which includes a dual gaffer/key grip, a best boy, and two swing technicians). We added a tow-generator, and a 6k Par to supplement the TALCO LIGHTING & GRIP PACKAGE, and that was it. We took the time to make a simple and effective plan that would cover the entire scene with minimal disturbances. Then we took the extra time at the start of our days to set it up so the rest of the day would go smoothly. We had no rigging crew so we showed up and did everything on the day. Mirza Sahiban is one of the most famous stories in Punjabi literature, and one whose origin goes back hundreds of years. It is a story that has been told and retold for generations, so when a film takes up this tale and labels it The Untold Story, ears were certainly perking up among the millions of Punjabis worldwide. The traditional story is one of forbidden love, revenge, and tragedy; not unlike many legendary folk tales from the world over, but this tragic ending is a bit notorious, because of a twist at the end that gives the story a part of its name. We’ve been doing short films and corporates throughout the first month of the year. Here’s a still from one titled “We’ll meet again” which we did with our friend Ryan. We’ve also done some interesting work with VFS Business Management which we will be posting on soon — it means big things for the film school academic world in Vancouver. As far as the future, we’ve got a few feature film contracts lined up which will be an excellent opportunity to take advantage of our new 10k diesel generator (recently modified to add camloc connections) and our ever-growing HMI package. We picked up the generator on our way back from shooting in Kelowna towards the end of last year. Stay tuned for more happenings, its been a busy new year! …so to further update you. The Odds was our previous feature film and it was produced by Oliver Linsley who recently completed Beyond the Black Rainbow — also filmed by Norm Li… The guy is unstoppable — with multiple independent film cinematography credits under his belt, more RED Camera owned then he has fingers on his right hand, and a private Airstar 4k balloon light to fly high in the moonlit air on helium pressure — look for a steady stream of Norm’s work to debut soon.